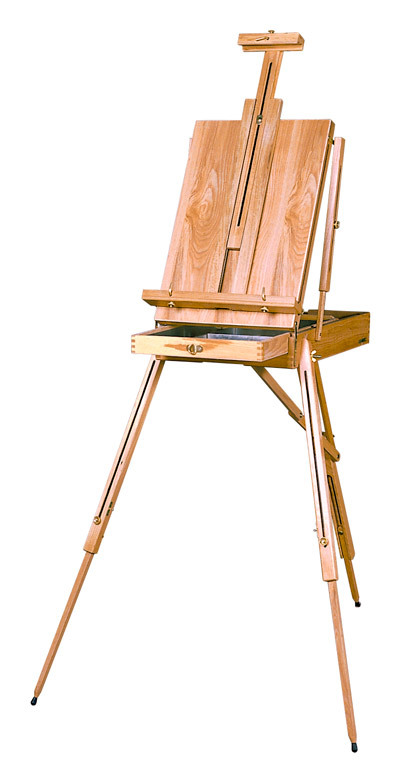 Combining an easel and a sketch box, the French style easel is the most popular easel for the traveling artist. 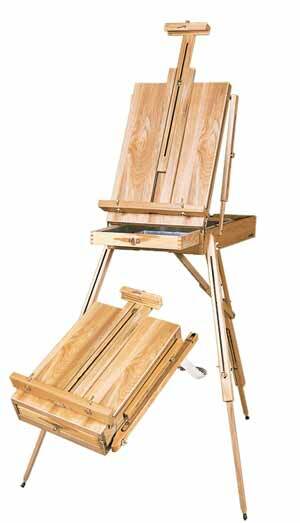 Fully adjustable, plus complete storage (11 1/4" x 18") for brushes, color and accessories, this easel folds to the size of an attache case for easy portability for plein aire. Will support canvases up to 34" high. 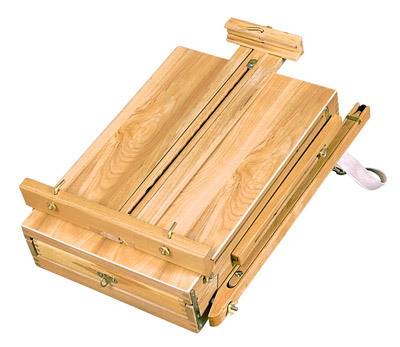 Closed Case Measurements: 16" x 22"
Adjusts quickly to a variety of settings for sitting or standing. Telescoping legs adjust to any terrain. Upper leg thickness: 1" x 1"
Lower leg thickness: 1/2" x 5/8"